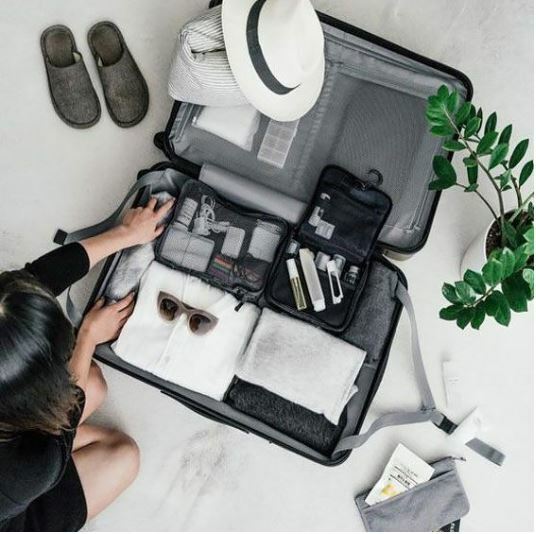 Whether a long weekend, quick getaway, or week long holiday travel, packing essential pieces lets you get dressed easily and stylishly for any type of outing without over-stuffing your bag. A stylish bag with all the right compartments allows you to hop on the plan, take the Acela, or board a bus without weighing down your style or missing any of the essentials. 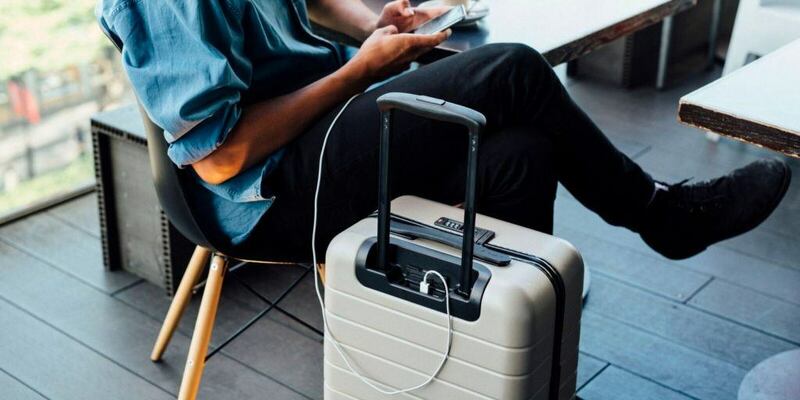 Shop carry-on suitcases with chargers HERE. Skin care is key so don't forget to bring a great cleanser and hydrating face lotion, perfect for warm temps or the winter chill. Shop men's skin care HERE. From dressy dinners and drinks to nights out with friends or walking around town, pack well-fitting jeans in a dark wash which allows you to dress them up or down. A stylish blazer that you can wear as a layering piece, ideally with a rich fabric of suede, leather or bolder color or stripes plus 2 button-up shirts complete your looks. One pair of woven trousers or colored khaki's take you to any event in style. Packing your favorite chelsea boots or dress boots aka wingtip, brogues or your favorite pair that works from jeans to suited up style. 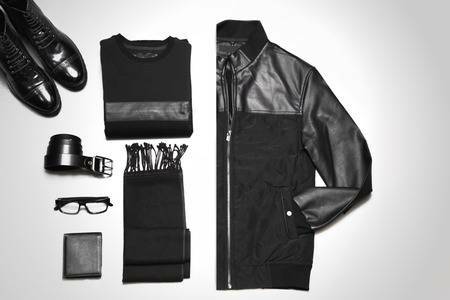 Stick to a color theme helps minimize the need to pack a variety. Stylish accessories completely change up an outfit so don't forget to add those to your bag. Toss that fedora in your bag, perfect with denim and a graphic tee or button-up or stylishly savvy with a sweater and trousers. Leather and suede fedora's ooze luxury in cooler temps or straw weaves if heading somewhere warm. A great scarf, trendy belt, watch, and sunglasses dress up any outfit giving a hip vibe so don't forget to pack these essentials.